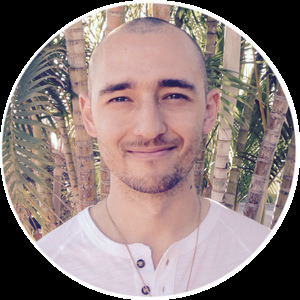 Learn more about me, Matt Valentine, and Buddhaimonia. The story of Buddhaimonia is one of remembering who we are. It’s about turning back the bad habits of the past few hundred years that have caused us to race to our death, fill ourselves with stress and anxiety, and forget to stop and smell the flowers, so to speak. It’s about remembering what is truly important. To live with mindfulness is to live in a way that we learn to both stop and appreciate life as well as to pay attention to our mind and body when we’re experiencing pain (whether mental or physical) so that we can tend to our wounds and heal. It’s also about looking inward and finding truth in the deepest reaches of ourself. Living more deeply and mindfully have always been two of the most important things we could do. However, today, it’s more important than ever before. In an age where we’re pushed to the brink of stress at work, where we’re constantly being distracted by the next glowing light of an electronic device, where clinical anxiety and depression have become almost the norm, and where we’re convinced that busyness and productivity are signs of a successful life, more than ever we need to learn how to stop, breathe, and tune in to what’s going on within and around us. My mission with Buddhaimonia is to offer a resource which helps show others how to do just that. Leading people down the path and helping them discover the truth for themselves is part of what Buddhaimonia is about. I don’t presume to be some magical guru that has special abilities or whom you should follow because “only I know the way”. In the same way that we raise our children to be self-sufficient so that they may navigate the world skillfully on their own, my goal is to help you find the way within yourself. You’ll find the way in whispers of truth which you experience in your everyday life. And as you follow that trail you’ll find greater peace and joy throughout each day. My goal is simply to help show you how do that. I'm a typical family guy with a penchant for deep thinking and a love for Eastern philosophy. I largely stumbled upon the path I'm on now. Nearly eight years ago, mindfulness and meditation were introduced to me through the practice of Zen Buddhism (for the origin story on how I got there, read here). I wasn’t a proclaimed Zen Buddhist, but I had been deeply influenced by the tradition and practice and still today have a great and deep appreciation for it. I read a few books on the subject before landing on one that really gave me a decent introduction to the practice of mindfulness. But even then, I was left with questions and missing pieces of information that left me feeling lost and confused. That’s part of what inspired me to create Buddhaimonia. I wanted to create an online resource that helped teach people the practices of mindfulness, meditation, and related topics in a simple and straightforward way. And a resource that gave them everything they needed to grow and develop their practice further. In a world where we’re encouraged to live disconnected, distracted, and stressed out...I choose to live more present, mindful, and at peace. From my online course, Meditation for Everyday Life. The Buddha said “be a light unto yourself” and don’t blindly follow even his own teachings. That's a foundational principle of Buddhaimonia. I have no desire, nor make any attempts, to be anyone's guru. Having said that, I deeply enjoy teaching what I know. I understand the importance of teachers on the path, acknowledge my strength in breaking down complicated or confusing subjects in a simple and actionable way (a big part of Buddhaimonia), and wholeheartedly accept that some see me as one of their teachers of sorts. Keep in mind, though, that we can and often are teachers for one another, so I consider the relationship mutual as I've learned so much from the community that has formed here and am deeply grateful for it. When it comes down to it, I consider myself a gateway more than anything. While the value of teachers is immense, in many ways our journey is ours alone. So it’s my intention to be a guide to you if you're looking to make meditation, mindful living and the pursuit of wisdom a part of your life as well as a gateway to further teaching and development if you so choose. Is This a Buddhist Website? A traditional Zen calligraphy symbol called an enso. Drawing is one of my favorite morning rituals. Buddhaimonia isn’t an explicitly Buddhist website, although I myself have a deep appreciation for the Buddha’s teachings and practice Zen meditation daily, and that’s reflected in the content and material I provide on Buddhaimonia. The Buddha didn’t decide his followers were “Buddhists” and he didn't intend to create a religion, if anything he suggested his followers call themselves vibhajjavadins (meaning “those who analyze” referring to analyzing reality or the nature of ourselves and this life). They were humans simply seeking to transcend the suffering we all experience and to discover true peace and happiness. It's in this spirit which Buddhaimonia was founded. The Buddha spoke to people from their tradition. In ancient India, where the Brahman faith was predominant during the Buddha’s time, the Buddha spoke to Brahmans from the perspective of their Brahman tradition. He didn’t try to “convert” them to his teachings. I believe this is due to his depth of understanding. So in the same way that the Buddha spoke to people from their own tradition, so too do I make the intention to speak to others from a universal perspective that shows them the path from their own unique life experiences and preferences. So, whether you’re Buddhist, Hindu, Christian, Catholic, Jewish, Muslim, atheist, agnostic, a believer of Greek mythology (half-joke), consider yourself spiritual but not religious, or really have no idea or desire to categorize yourself and simply want to better your life, I’m here to help. No fuzzy out-of-body-quantum-leap sort of stuff, no gimmicks, no trying to sell you spiritual massage oils or weird stuff like that. Just honest insights from a life lived mindfully and a mind which loves to immerse itself in the wisdom of this beautiful and chaotic world. I don't pretend to have all the answers. However, it's my mission to teach what I've learned thus far and learn as I go so that I can continue to serve you better. Have a question? I make myself available. You can learn more and contact me here. P.S. Want to know what I'm working on right now? Check out my Now page.